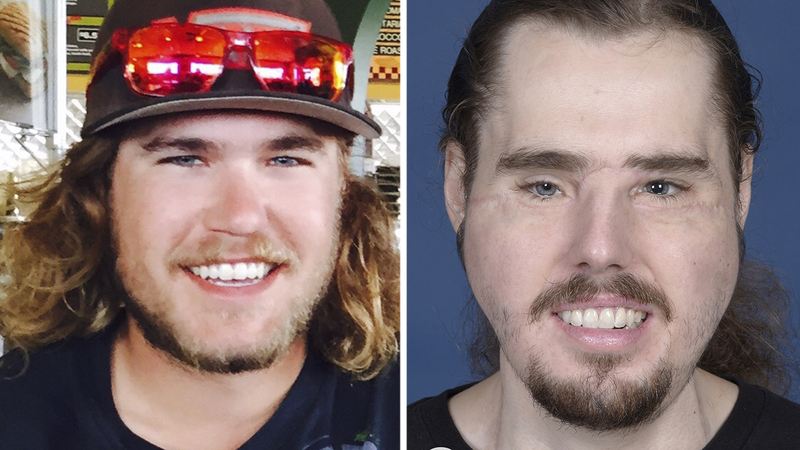 After a self-inflicted gunshot damaged his eyes, nose, and jaw, 26-year-old Cameron Underwood underwent a face transplant. Here, he shares his reckoning with depression and how he's navigating life with a new face. If a patient is contemplating suicide, a therapist will try to reason them out of it by reminding the person that the suicide attempt may not work. Whatever means of self-harm they choose to inflict might not actually kill them, they'll explain, but possibly leave them incapacitated for the rest of their life. That’s what happened to Cameron Underwood. 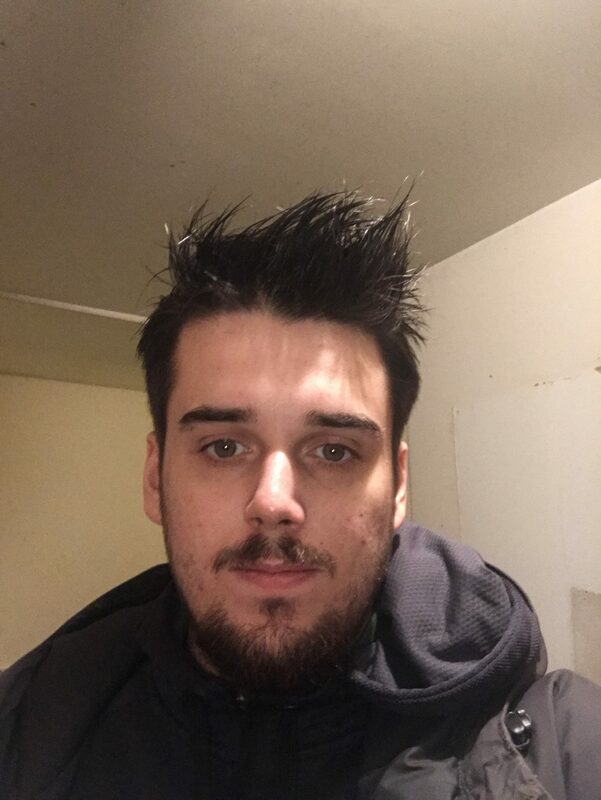 A welder and machinist from Northern California, Underwood was just 24 in June 2016 when he tried to take his own life. He had battled depression since he was a teenager, and after a night of heavy drinking, he put a gun under his chin and pulled the trigger. Doctors told Underwood’s mother, Bev Bailey-Potter, that her son wouldn’t survive his suicide attempt. But miraculously, he did. Though he didn't die, his injuries prevented him from returning to life as he knew it. The gunshot destroyed most of his face below the eyes, including the majority of his jaw, his nose, and every tooth but one. Once an active young man who loved the outdoors, Underwood could barely speak and had to eat through a tube. He was alive, but he wasn’t living. But, Underwood soon had the chance to experience something life-changing. On the morning of January 5, 2018, about a year and a half after his injury, he underwent 25-hour face transplant surgery at NYU Langone Health in New York City. He was given an entirely new face, his true second chance at life. Since then, the surgery has made headlines as the “most technologically advanced face transplant” to date. Before-and-after photos of Underwood’s face have gone viral, and he’s shared his transplant experience in hopes of inspiring others. But his story goes beyond his new face. It’s a story of the devastating ways depression can take hold of human life, and the determination it takes to overcome it. Underwood says he grew up in a loving household with a strong and supportive family, but depression still descended on him. He enjoyed his job as a welder and machinist, though working long hours took a toll on him, he says. He sometimes had to take jobs out of town, which made him lonely. He began using alcohol to self-medicate and ease his emotions, initiating “a downhill spiral,” he explains. After his suicide attempt, he didn’t wake up in the hospital immediately overcome with joy that he had survived, bursting with determination to make the best of his life going forward. Life isn’t a soap opera. His mother eventually happened upon an article in a December 2016 issue of People about a groundbreaking face transplant program at NYU Langone Health. She immediately got in touch with the program’s director, Eduardo D. Rodriguez, MD, who would soon be the one to give her son his second chance. 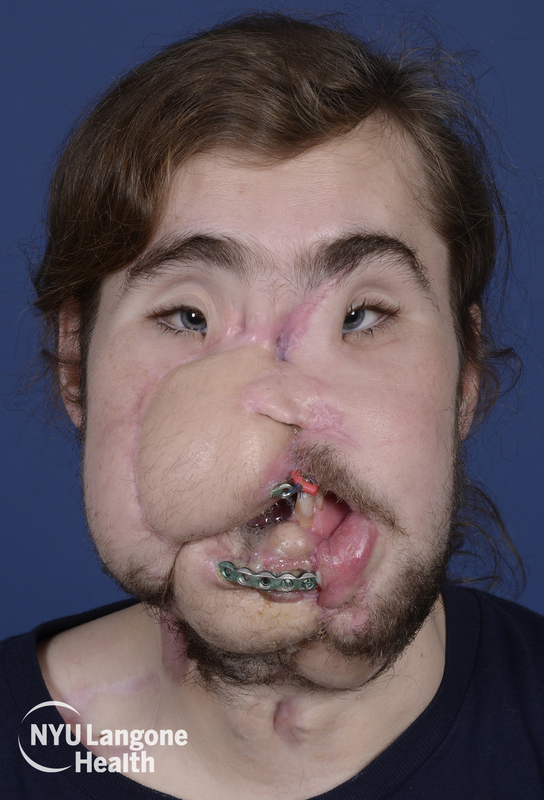 “At first, I didn’t really comprehend the full scale of the face transplant. I don’t think anybody does, how in-depth it really is… We were kind of mystified by it at first,” Underwood says. After his mother reached out to Dr. Rodriguez, he and a few other NYU team members flew to California to evaluate Underwood for a face transplant. Dr. Rodriguez and his team spent time with Underwood and his family and even went to church with them, wanting to make sure he was truly ready for such an intense procedure. They were also evaluating the strength of his support system, which would be key to his recovery. Though Dr. Rodriguez and his team decided to perform the procedure, another person would play perhaps an even more instrumental role in Underwood’s transplant: the donor. On January 4, 2018, after Underwood had been on a waitlist for six months, a donor was found. His name was Will Fisher, pictured below (his cause of death wasn't released). A 23-year-old Manhattan resident and student at Johns Hopkins University in Baltimore, Fisher was also a chess champion, filmmaker, aspiring writer, and, of course, an organ donor. When Underwood received the call that a donor had been found, he and his family immediately packed their bags and headed for New York City. It was in the middle of a “bomb cyclone” snowstorm, but they had no time to waste. Needless to say, Underwood was nervous, but leading up to the surgery, he had a chance to talk to one of the only other people in the world who truly understood what he was going through: Richard Norris, one of Dr. Rodriguez’s previous face transplant patients. That helped ease his nerves. On surgery day, Underwood and his family walked into the hospital through a haze of snow, and suddenly, “it got real,” he says. The surgery began on January 5, around 7:30 in the morning. The next day, he was taken from the operating room with a brand new face. He’s also still learning to use his new face. At a press conference at NYU Langone in November, Dr. Rodriguez compared the feeling in Underwood’s facial muscles for the first few months post-surgery to being on novocaine. He continues to work on using his new facial muscles through physical therapy, a process that could take three to five years. Along with his new face, Underwood has developed a special bond with Will Fisher's family, and Bailey-Potter says she knows they'll have that connection forever.